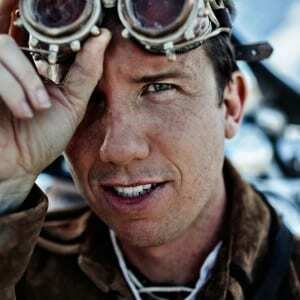 Kicking off TBEX 13 in Toronto will be keynote speaker Trey Ratcliff, renowned HDR photographer. We’re very excited that Trey will join us, challenging and encouraging us to look at the world around us through the eyes of an artist. Trey Ratcliff is a photographer, artist, writer and adventurer. Each day, Trey posts a new photo to his website, StuckInCustoms.com, which receives over half a million monthly page views. Trey has over 9.5 million social media followers via Google+, Pinterest, Facebook and Twitter. His photos and stories capture the beauty of exotic travel destinations and the humor of bizarre situations he often finds himself in. There is always something new, unexpected and beautiful to see. Trey is often called a “pioneer of HDR photography.” HDR stands for High Dynamic Range, a technique whereby multiple levels of light are captured for a particular scene and then combined into a single photograph. The resulting images are richly detailed and more closely resemble what you recall of the scene in your mind. Trey’s photo, Fourth on Lake Austin, was the first HDR photograph to hang in the Smithsonian. He has been featured on ABC, NBC, CBS, FOX and the BBC, and his photos have accumulated about 1 billion views. His best-selling book, “A World in HDR” sold out on Amazon in the US, UK, Canada, and Australia. Using a unique teaching style based on curiosity and discovery, Trey has taught hundreds of thousands of people the secrets to his photography techniques. Trey grew up blind in one eye, which changed the way he has come to experience and visually map the world. This, combined with his degree in computer science and math, has shaped his unique, algorithm-like, approach to capturing a scene that evokes more palpable memories. Trey is also a successful entrepreneur. His endeavors include popular iOS and Android apps such as 100CamerasIn1, Stuck On Earth, and Photo Voyages. In addition he launched Flatbooks.com, which is a rapidly growing eBook publisher. We know that many in the TBEX community are familiar with Trey’s HDR photography, and now we’re bringing you this opportunity to hear and meet him. Not registered for TBEX Toronto yet? What are you waiting for? Register now to hear Trey and take advantage of a diverse lineup of education and networking opportunities. Great. I am registered for TBEX Dublin. I am sure we will meet such amazing people there too. I’m in Toronto on the 2nd, miss Trey by one day. Too bad.